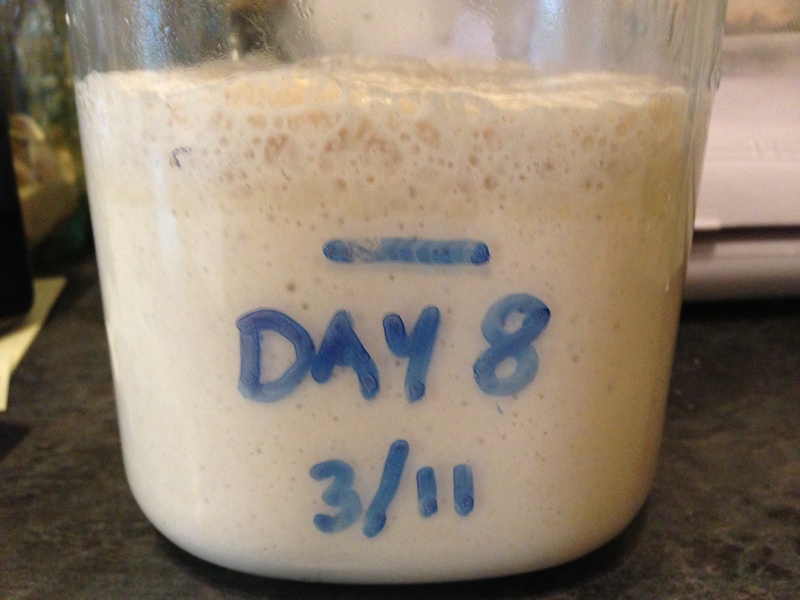 If you want to make your own Sourdough bread, you’re going to need a Sourdough Starter (a.k.a. 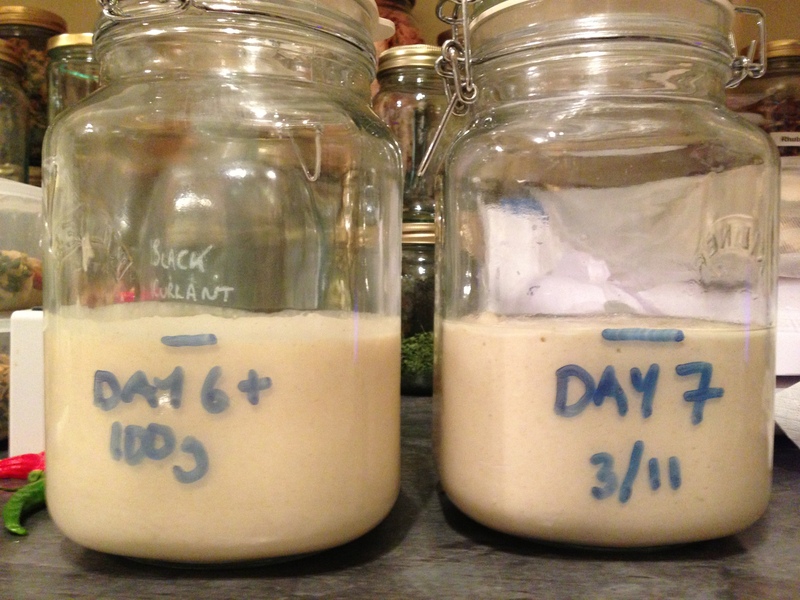 Levain, Leaven, Culture, …). 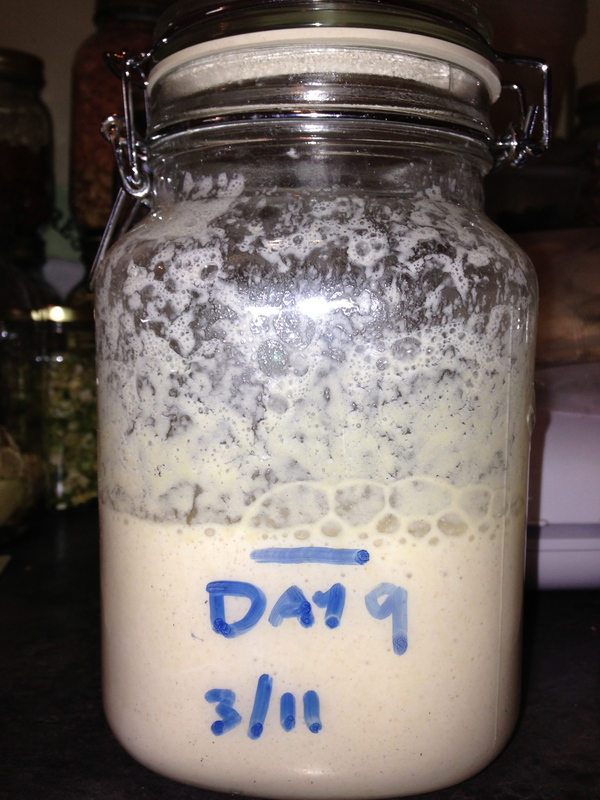 The quickest way would be to tap up a friend or acquaintance for a sample of their starter and start to feed that up to make a batch of your own. 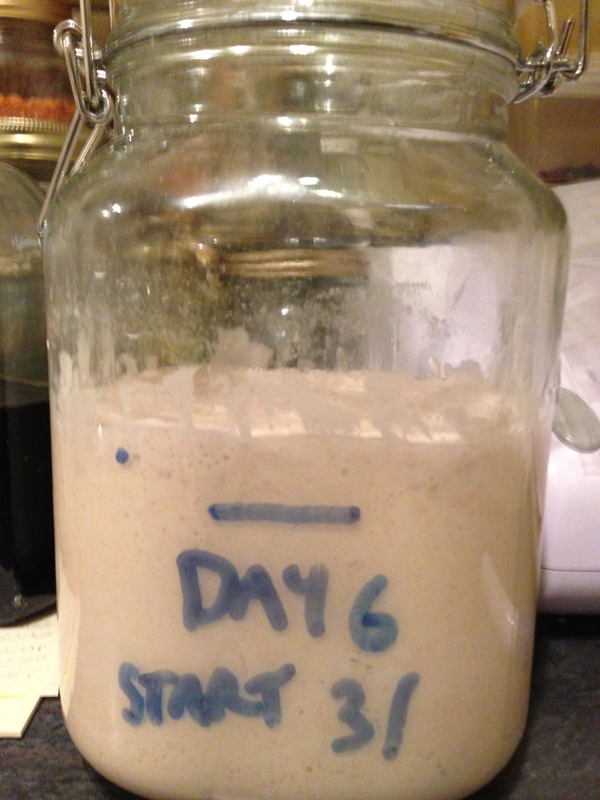 However, as the bacteria & natural yeasts that develop in the starter are developed from the ambient conditions surrounding the starter itself, so using a sample of Great Aunty Ada’s 300 year old culture which has been making generations of prize winning Sourdough bread may sound appealing, as soon as it moves to a new location and starts to be fed, new strains of bacteria will develop, eventually replacing all of those from the original sample so it doesn’t guarantee you perfect results by any means. If you search the internet, at first you may be a little confused/disappointed. 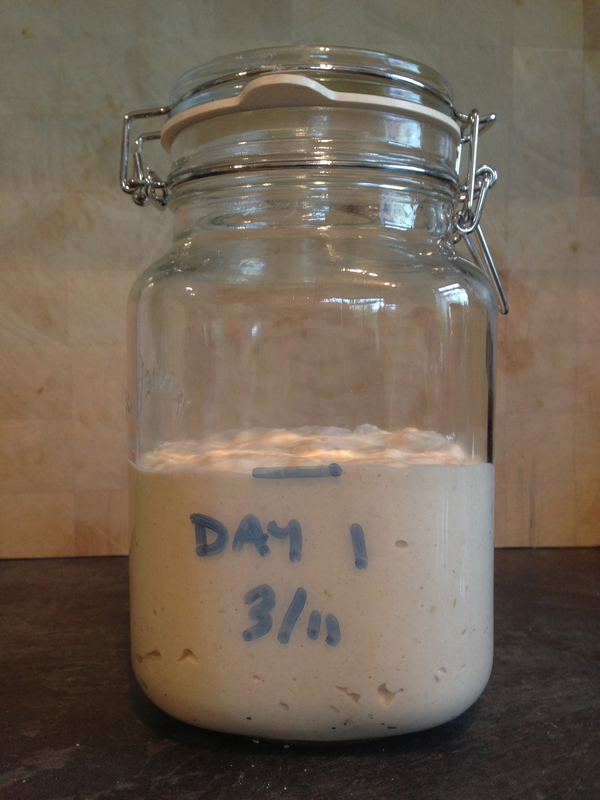 There are plenty of recipes on how to make your Sourdough breads once you have a starter, but fewer which actually start at the very beginning. 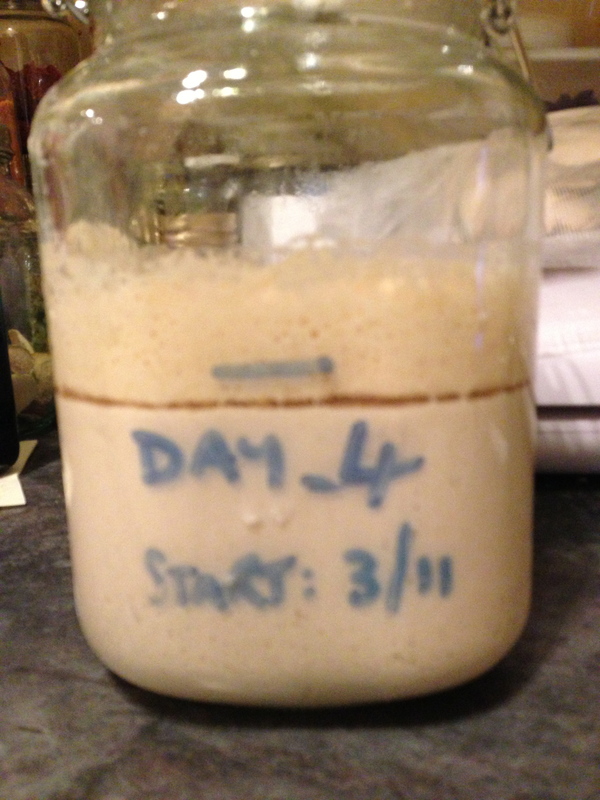 Then when you finally find those starter instructions, you may be surprised to find so many different variants. The good thing to take from this is that a) there doesn’t seem to be a ‘right’ or ‘wrong’ way, and b) they’ve been making this for thousands of years, even you could research your recipes on the web, so the chances of failing seem quite slim. 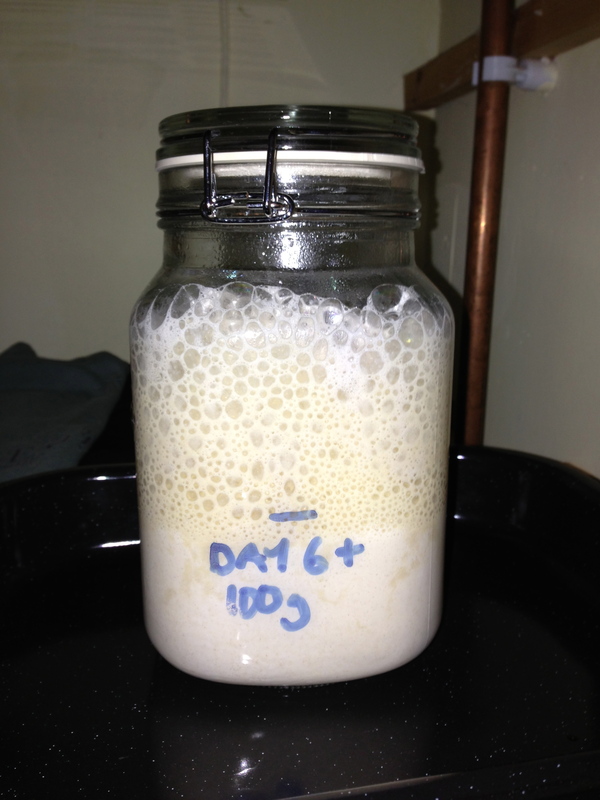 Bubbling away nicely, using up all of that energy. 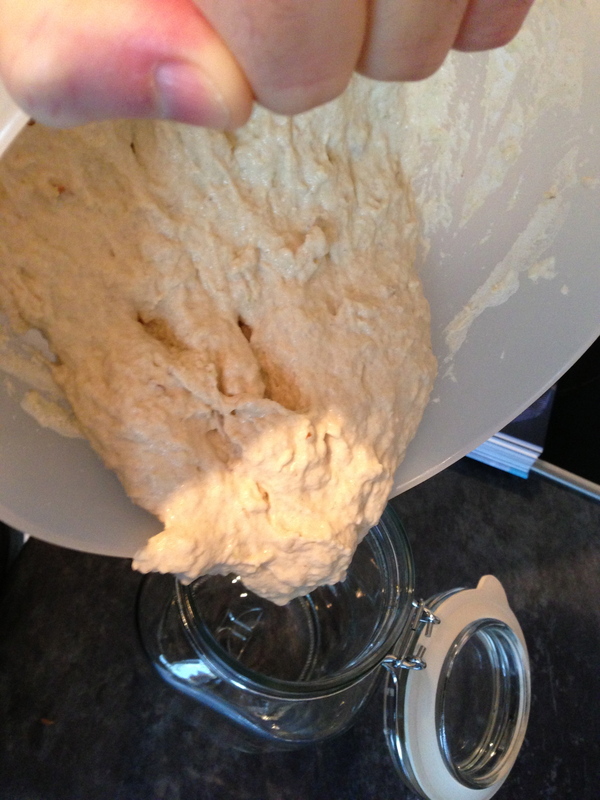 Time to feed the starter. 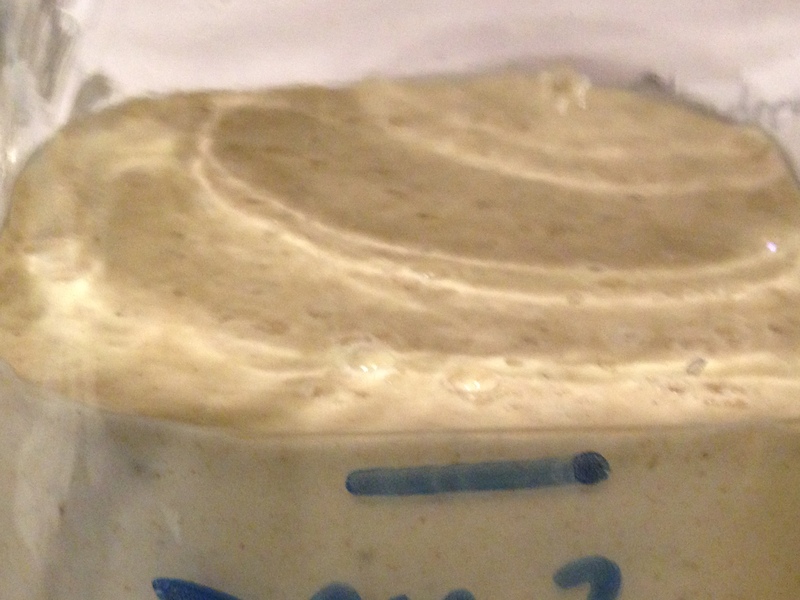 Pop the lid (literally, given all of the gas inside) and take a first sniff of the starter. I was a little apprehensive – these can smell absolutely disgusting or really quite pleasant. Mine smelt of a mild cider vinegar, definitely an acidic smell so quite pleased. 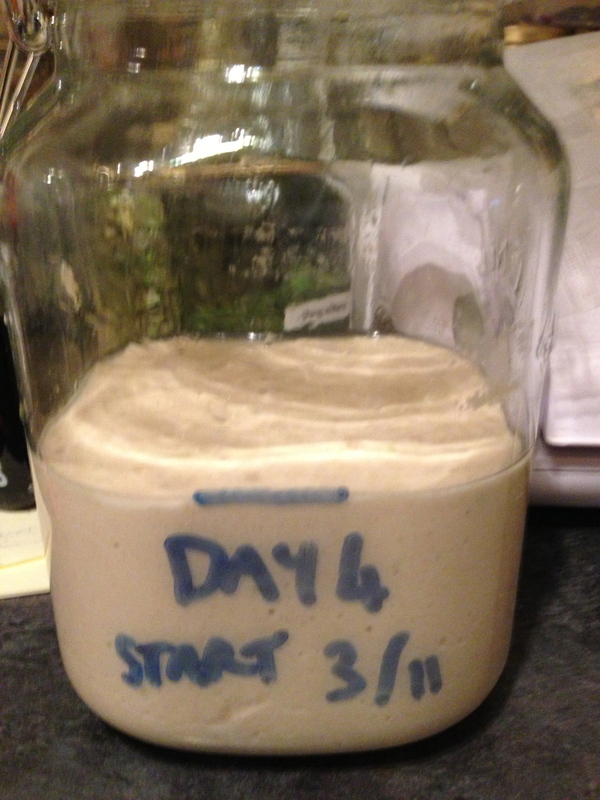 If we had a little more growth, I’d have planned to use this starter now. As it stands I must give it another feed. Pop the lid and take another sniff. The acidity was still there, but the smell was actually sweeter this time. Stuff is still going on, and I’m feeling that we’re definitely progressing in the right direction. 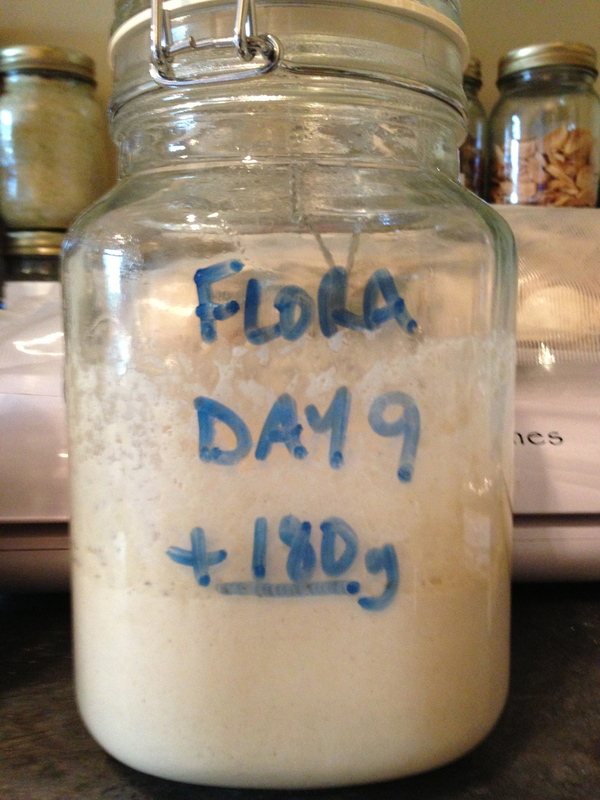 But instead of throwing the remaining half of the starter away, I decided to create ‘Flora’, a sample I’ll use to test whether my ambient temperature is just too low for really vigourous starter growth in such a short space of time. 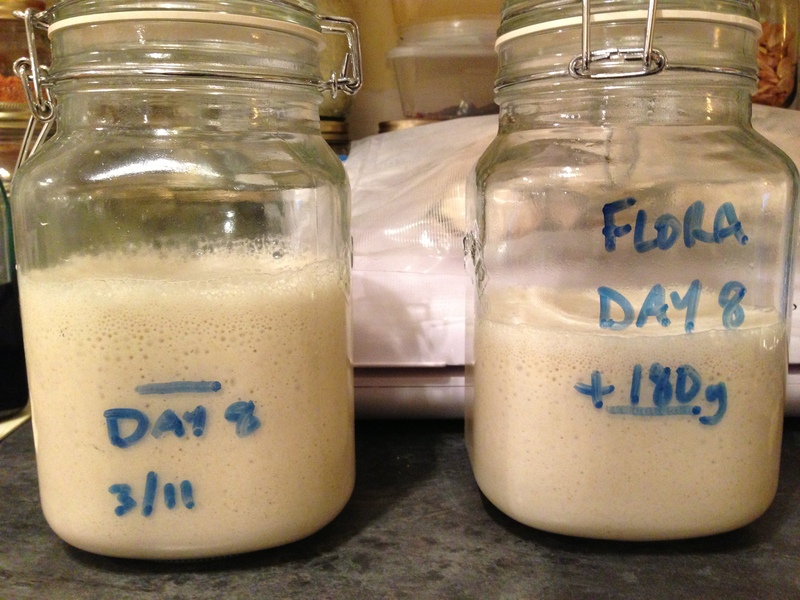 Seal and move to a warmer location – I’m trying my airing cupboard which is consistently warmer than the kitchen, but not hot. 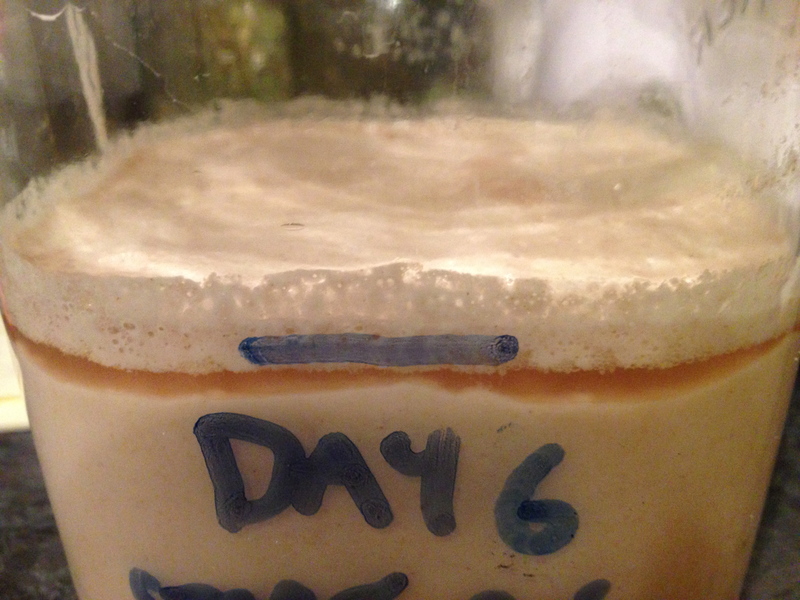 So this is quite encouraging – the original batch has healthy bubbles running through the mixture. 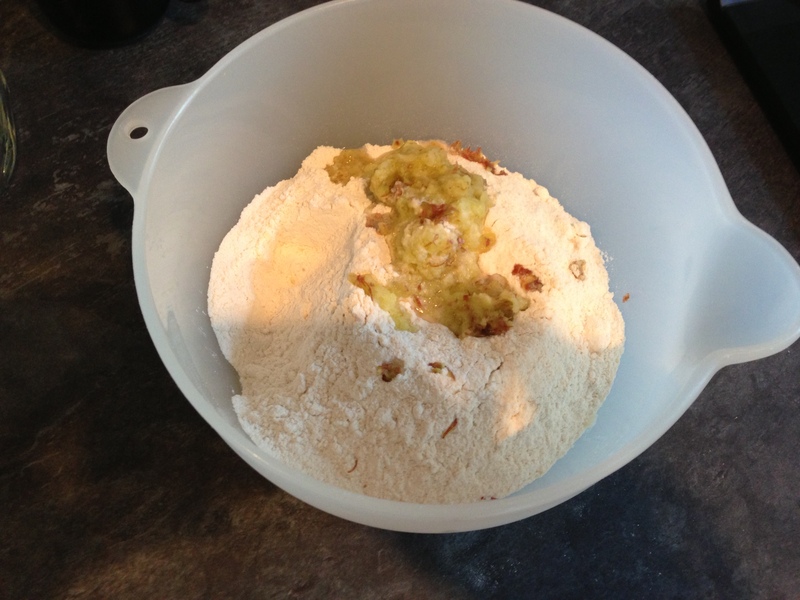 It’s clearly quite healthy if not as vigorous as I had expected. Interesting – a little warmth has set her off. 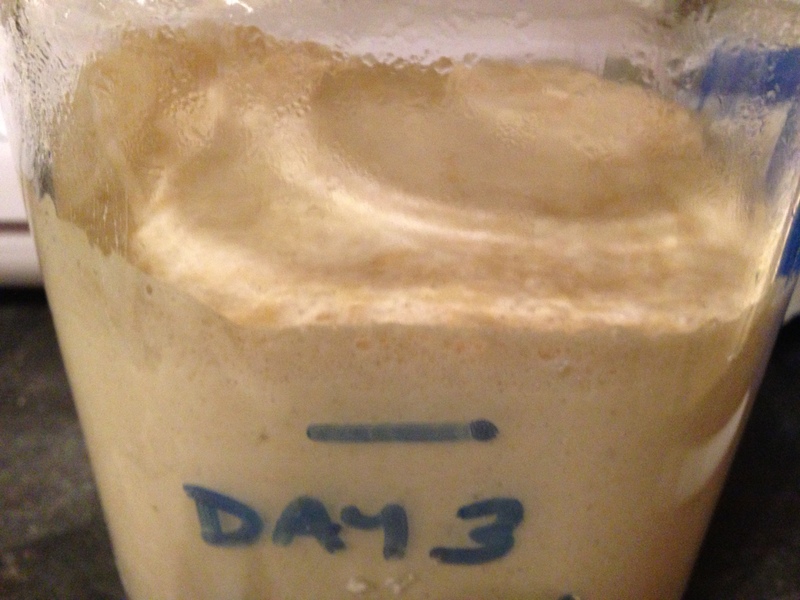 She’s gone mad with big bubbly growth, but if you look carefully, the activity is only within the top 1cm or so of the batter. There is a definite layer below which has no obvious bubbles of any size. They say that having an active starter is a bit like having a pet, but one that can get away with a little abuse without the risk of of you getting arrested.